Melanolestes picipes (Black Corsair) ♂. Size: approx. 18 mm. Photo: 04/14/15, 9 am. 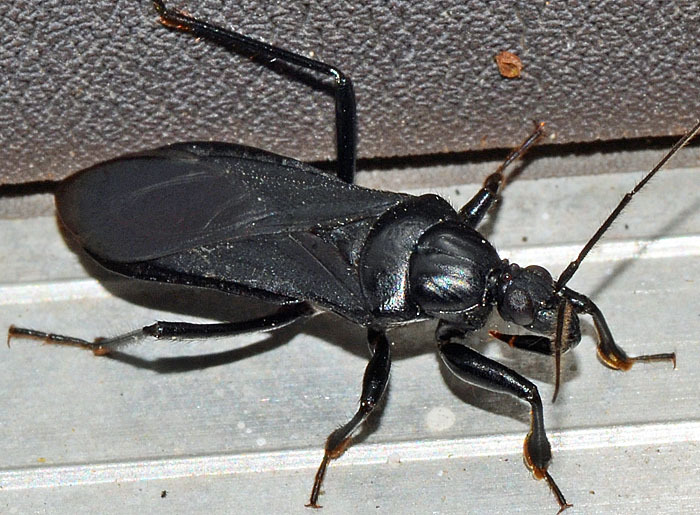 The Black Corsair is a hunter of other insects. It is known to feed on May Beetles (Phyllophaga) attacking them from behind and holding on to the prey with the spongy pads on its legs. It can afflict painful bites to humans. Females are flightless.